Go to Appearance > Customize > General Settings to set the fixed main navigation option. If the option is enabled, the main navigation is fixed to the top when the user scrolls down. 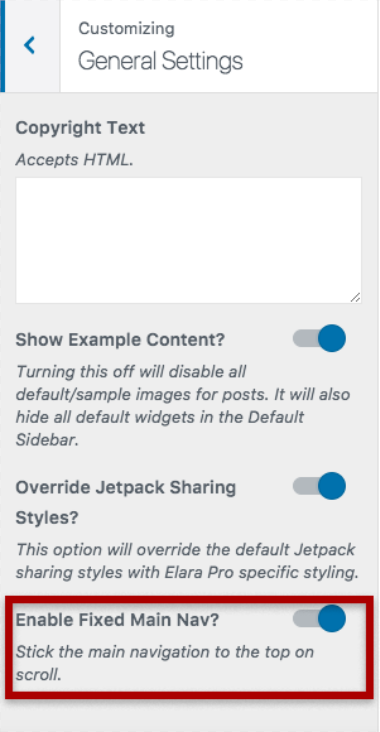 This feature is on by default - if you want to disable it, click the button switch.